7 pictures, 4 music compositions and 2 demos. Follow this link to vote. Songs (also from other compos of the Winter Chip X ) — http://battleofthebits.org/arena/Battle/2301/Winter+Chip+X. Brand New Game: Castlevania — Spectral Interlude!!! Even if Konami lost all interest in making proper Castlevania games, Dracula's Castle can’t be kept in the void forever. It just so happens, that this time fans were the ones to aid in it’s return. 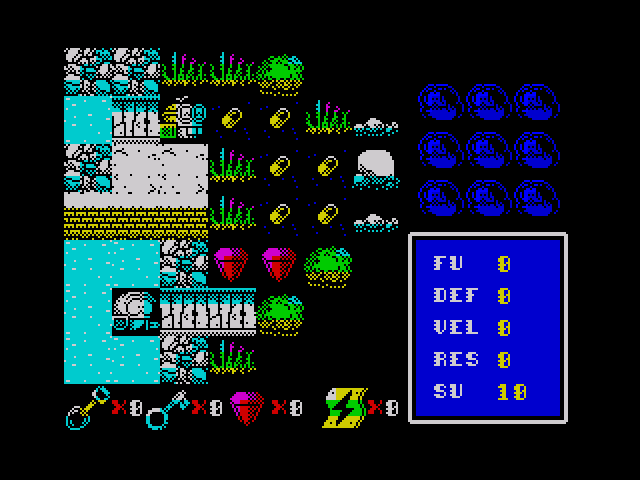 It was originally invisioned as a „demake” of Castlevania II: Simon's Quest but eventually turned into an original independent game for ZX Spectrum. It is an action-adventure platform game with elements of RPG. It merges well known elements of classic games with some new ideas. It tells a new story which tries to remain consistent with the canon of original franchise and explains why Belmonts disappeared for many years. Dracula's Castle is awaiting new guests! Yura [pulsar+thery] was born today on 12 February, 2015 at 5:25 AM. Congratulations and Happy birthday to the parents and their son! Description: Breakout / Arkanoid clone. Запущен новый блог Hype, претендующий на статус развлекательного портала по ретро-тематике. Статьи на серьёзные темы, тем не менее, приветствуются. По задумке сайт должен стать первым, который ты открываешь каждое новое утро. Вливаемся!